Building Information Modeling (BIM) gives you the ability to explore your project’s key characteristics before it’s built. 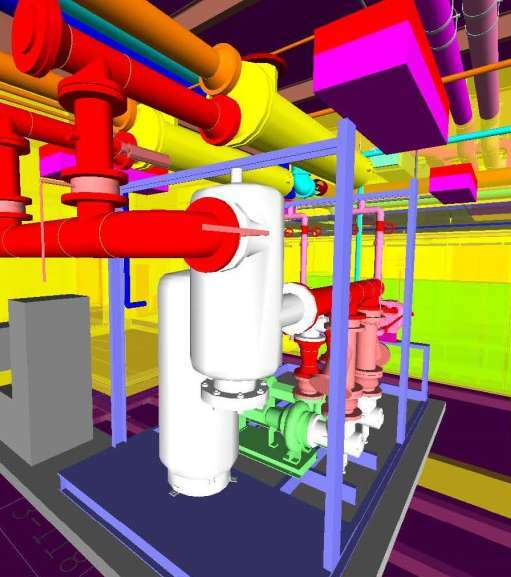 At Northwest Mechanical, our professional engineers use the latest BIM software to produce 3D models that allow you to design, analyze and document your project from the pre-construction phase through construction and beyond. Evaluates alternatives and improvements to your design before construction begins. Contact us today to learn more about BIM.